Few days after I cleaned the wordpress website from a virus attack, I noticed many 404 errors in Google Search Console. Google bot was crawling non-existent page (a 404 page). Are you searching for fixing google 404 error page, how to fix 404 error on google and how to fix soft 404 errors. This relevant review will solve question on how to remove google 404 error, how to fix url problem and how to fix crawl errors 404 not found. This post will show you amazing tools of crawl errors checker, google webmaster tools broken link checker, error 404 not found tracker plugins for word press, IP address checker, Robot.txt tester and Fetch as Google. These best practices surely improve the Error 404 Not Found in Google Search Console and error 404 not found pages of your website. You can use CTRL + F to find the heading and read the content. This increase in Crawl Errors “404” pages in Google Search Console are an issue many websites has. The increase in “404” pages will result less ranking and negative SEO. Why is this increase in “404” pages and Crawl Errors 404 Not Found in Google Search Console and How to Fix them. A Error 404 Not Found appears when a page from the website is moved or deleted. Google request the page to the server of the website. The server searches the local database and unable to find the page Google is asking. Server returns the request with a 404 error. This means server was unable to find the page. Increased 404 errors Not Found means many pages in the website are moved or deleted. Google list all the pages of the website and store in the memory. Google will store the pages for long time even if you delete the page from your website. Google think that the page is still there in the website and keep asking server for page. Increased Error 404 Not Found request means that Google is having trouble in showing the listed pages in your website. This happens in few cases. 1. Large number of pages are removed or deleted. 2. A spam attack resulting in increased crawl errors. 3. Low quality spam back links. 4. Installed plugin configuration issues. 5. Malware and hacked content inside the website folders - Here is a good read on how to Fix Hacked Content Found in Google Search Console. You will have to identify why these 404 errors are appearing and what is the cause behind it. 404 error is a client side error which means that the user who is visiting your website will get this error instead of the actual web page. Users will have a bad user experience because of this. User will close the web page immediately or click back to go back to Google. This will result i increased bounce rate and ultimately loss of search ranking. Google mentioned long back that 404 (not found) error will not hurt your website search ranking. It is not true at all. Google reduce ranking of website which gives bad user experience. Returning a 404 Not Found result code is not fine and you will have to reduce them. It is easier to find such types of crawl errors in the new search console. I still prefer old search console for the ease of use. There are many software applications like Screaming Frog, Xenu to completely crawl website for errors. You can choose one and find out all crawl errors and match it with the errors in Google Search Console. You can use broken link checker online to find all broken links. I use Broken Link Check to see the errors. This will show you only 404 errors related to posts and pages. It is a useful tool for starters. Crawl errors can be accessed in Google Search console under Crawl section. No need to panic when you see many such Crawl Errors 404 Not Found in Google Search Console. Appreciate yourself for starting this venture to fix each of them and creating a healthy website. You will see many 404, 500, 503, “Soft 404”, 400 errors in this section. Majorly this section is divided to two segments - Site Errors and URL errors. All the crawl errors are available in these two sections. You can see Site Errors section on top Showing data from the last 90 days. Site errors include DNS Server, connectivity and Robots.txt fetch. Generally these three sub sections will not show any errors. URL errors are divided into two segments - Desktop and Smartphone. Server error, Access denied, Not found, and Other errors are visible under under Desktop. Server error, Access denied, Not found, Blocked and Other errors are visible under under Smartphone. This is where the work starts. This section will help you to fix All Crawl Errors and 404 Not Found URLs. Let us dive deep to each type of Crawl Errors in Google Search Console. Caused when a server returns the request of the Google bot. Google bot is small software application that crawl your website. Google will not be able to index the web page if the server return the requests. Server error 5xx in google search console is showed if the server return a 500 status code. Google bot think that some pages in the website has thin content or no content. The pages do exist and server return the request with 200 status code. These pages are still shown in “Soft 404” errors. Pages with few words, pages with ads only are considered as Soft 404 errors. Some servers automatically deny access to bots to not allow directory listings. This is why Access Denied 403 errors are shown. As per the new standard, Google want to crawl all files and folders of the website. This can also happen with incorrect domain and DNS configurations. This section contains all 404 Not Found errors related to posts, pages and attachments. These errors are common and can increase drastically with website migration or changing http to https. Web masters use robot.txt file to block access to certain pages. Some pages are denied of access to Google bots. This section includes 400, 405, 406 errors. Google bot is unable to find the page but unable to find the issue. This error will be shown with "Other undetermined reason" error. There are sections called URL Parameters and Crawl Stats under Crawl. No need to edit these. To fix these crawl errors in Google Search Console, identify the structure, period of occurring and IP address of the 404 URL. Word Fence plugin and 404 to 301 plugin are good Crawl Errors Checker which allow you to Track 404 Not Found URL. For that you need to install Word Fence plugin and 404 to 301 plugin in wordpress website. Word Fence plugin will show you live traffic and show you all server errors. 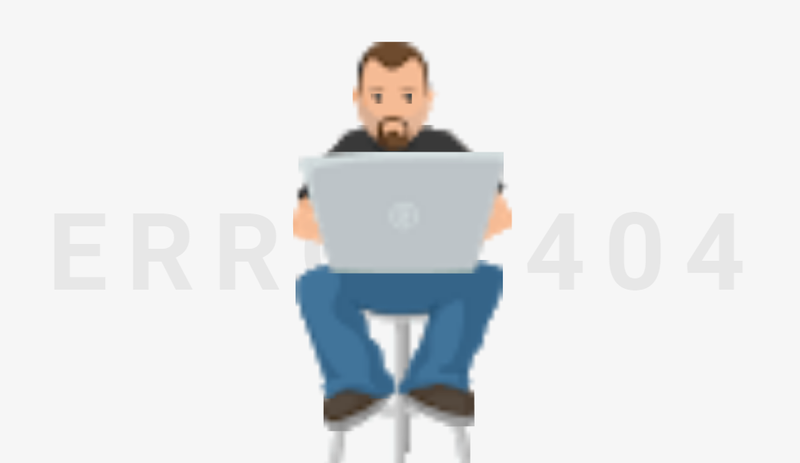 404 to 301 plugin will list all 404 errors. The 404 urls are appearing in Word Fence under the Tools > Live Traffic column > Google Crawlers in Word Fence plugin. These errors are reported by the GoogleBot, crawlers, and other bots. You will see many tables here including Type, Location, Page, Visited, Time, IP Address, Hostname and Response View. Watch the Response View and compare the URL errors appearing here with the URL errors you saw in Google Search Console. If that matches, click on the 404 error to expand the view the activity detail. Here is an example of the activity detail of Google Bot trying to access a non existent 404 page. Google Search Console will show these Crawl Errors for pages that don't exist and this result from a targeted spam attack. First you will have to check and see the structure of this URL to see if they are spam. I installed another plugin called 404 to 301 which allow me to access all 404 Error Logs. I checked how many non existing urls are appearing. This method was features in may websites. The below steps have to be done carefully. As you can see below, the 404 Url had two paths. http://healthcostaid.com - this is your website. These are spam URLs. Someone is attacking your website. Here are a few other spam URLs that Google is showing in Google Search Console as server errors. If they are spam, the next step to identify the source of the IP address and see if they are actually Google Bots. Here are two spam attacks to the website from an ip address. You will have to find the IP address of these request to see where the traffic is coming from. By Checking IP address, you can fix URL errors on a Google search console. Use IPINFO checker to check the source of the IP. I checked the source of this IP and this is the result. The ip is of Google bot. You should not block this IP as it belongs to Google. This means this is a server error. You will have to block the path of this 404 URL in robot.txt file to stop the crawling of these errors. You can remove Google 404 error using robot.txt file permanently. I installed Yoast plugin. Went to Tools > File editor. Here you can create and edit robot.txt file. Create a robot.txt file if you do not have. You have to be very careful in editing this. Create block paths for blocking such spam URLs. 1. http://healthcostaid.com - this is your website. You can make path like this and added in the robot.txt file. I clicked Save changes to robot.txt to save the configuration. This blocked bots to crawl both 404 Non Existing Urls. I rechecked the URLs in fetch as Google and it showed blocked. This means the issue of remove google 404 error is fixed. You have double careful in editing this robot.txt file. Google may ignore search results and this may lose your rankings. Fetch as Google tool enables the user to fetch and render URLs. This crawler simulator will help you to see the live status of URLs. Go to Search Console > Crawl > Fetch as Google. Add the URL in the empty box and click Fetch. This will immediately trigger Google bot to scan this URL and show you whether it is rendering properly or not. The status will show "Complete" with a green tick mark if Google bot was able to crawl the web page successfully. If you blocked any path or files in Robot.TXT folder, the status will be "Blocked". I made sure that none of my post pages are appearing in this type of path. I went to Permalink Settings to create a custom URL structure. I added "/%postname%" as the custom structure. This way all my posts will appear with a custom structure like this: https://healthcostaid.com/consequences-for-not-paying-medical-bills. The path of this would be :/*/. I will not block this path in robot.txt. If I add this path, Google bot will not be able to access my site. A proper robot.txt file block the spam and junk URLs and allow other files to crawl. This will immediately reduce Crawl Errors 404 Not Found in Google Search Console. Below is a customized robot.txt file for wordpress website. Copy and it and paste in robot.txt file. Sitemap: https://www.shipmethis.com/sitemap.xml. Add your sitemap address here. Google Search Console automatically add sitemap to your site. This will appear like below. This will allow all Google bots to access posts and pages. Robot.txt tester is an amazing tool in the Google Search Console. This tool is a crawl errors checker and allow you find whether Google bots are allowed to crawl the posts and pages. This will check for crawl errors and path issue. Go to Crawl > robots.txt Tester to test if the spam URLs are blocked. Check if your post URL are allowed. Check if Google Bots are allowed. This means you have successfully updated robot.txt file and fixed most of the Crawl Errors 404 Not Found in Google Search Console. You have to keep track on lose of search rankings and how your results show up in Google. Be Careful while you do this. The safest way is to block spam IP addresses. There are many spammers who attack your website without you knowing about it. You will have to find these unknown IP addresses and block them to keep out spammers. Spammers often put encrypted php scripts that generate huge number of links inside your website and that creates bad user experience. Spammers also ping in high numbers [Brute Force Attack] to find vulnerabilities of your website and attack it. Many future crawl errors can be fixed by blocking such bad IP addresses. You can read how to Block a specific IP address, a specific domain, multiple IP addresses and entire subnet in this article. I always insist on blocking the entire sub net of IP addresses to be on the safe side. Do not block IP address of Google, MSN, Bing, Microsoft, Facebook etc. Here is the list of IP address and BOT IDs that you should not block. Net Range means the ip addresses can be from that range. Host name is the name of the bot. The IP address is shown in bold letters. Go to Word Fence or 404 to 301 plugin and check IP addresses of 404 errors. Copy each IP and check it in IP INFO Checker. If these are from China, Russia, and are from some broad band servers, block them immediately. I checked this IP: 123.168.150.36 address in ip info trace. As per WHOIS record, this is an unknown organisation. This means this is spam IP address. You should immediately block this sub net. In order to block this IP address, Install Yoast Plugin > File Editor and scroll down to access .hta file. In order to block a sub net of IP, add the first two digits of IP after Deny from. Click save changes to .htaaccess to save the changes. This will block the entire IP addresses from accessing your site. You can directly add the following spam IP address to your .htaaccess to stop them from accessing your site. These IP addresses are spam and creates Crawl Errors, 404 Not Found errors in Google Search Console and attack your website. It is possible that the URLs, which Google is attempting to scan, are cached or not properly updated. In case requesting Google to re-crawl your website and its URLs does not resolve this it would be best to consult with an experienced website developer as this is related to the configuration of your website. I would advice you to generate a new sitemap for your site (you may use an online tool as this one) and to ask Google to re crawl your website URLs. You may do so as per the following article on support Google Page. Sitemap: https://healthcostaid.com/sitemap_index.xml. Change healthcostaid.com to your website address. Submit this to Google under Crawl > Sitemaps > Test > Resubmit. Google crawling will be allowed by this to the existing URLs and all other URL that were blocking the Googlebot's access will be removed. This will generally fix most of the crawl errors including "submitted url marked noindex" errors in google webmaster tools. Remove URLs is section Under Google Index. You can use this section to temporarily hide URLs from search results. This will enable to hide certain URLs like spam URLs and bad back links till you find the source page and remove them. Select Temporarily hide and enter the URL. Select Continue. Select "Temporarily hide pages from search results and remove from cache" and click Submit Request. All www/non-www and http/https variations of that URL will be hidden from search results. Facebook bots gives 404 errors and that you can see in the Word Fence plugin. These 404 appears when an attachment or posts that you shared in Facebook is not moved or deleted. Facebook bot search for this in the website and unable to find the posts or attachments. To fix these 404 errors, go to Word Fence live traffic. Check for the 404 errors crawled by facebookexternalhit/1.1. Then go to your Facebook page > Publishing Tools > Published posts. Check for the similar posts or attachment URL and delete them. You can handle all 404 errors from Facebook bots like this. Do Share this post with other individual bloggers, website owners, social pages, groups and to those who are struggling to fix 404 crawl errors in Google Search Console. This post would be really helpful for them. Do you know that there are 30,000 websites are hacked in a day. To understand how Google fight spam websites, we need to which type of websites are considered as spam. I was shocked to see this Alert - Hacked content found message. Immediately I logged in to Google Search Console and checked the whole message. It was like this; "Google has detected that some of your web pages have been hacked....hacked content detected on...implementing industry best practices." i think i ve been hacked. It is a shocking to find out the site contains malware and this site may be hacked wordpress by japanese hackers. The site may be infected with seo spam, phishing links and non quality back links. Google will start showing unsafe website warning below the website title in search results resulting in lesser views and organic traffic. I am sure many of you have faced this sudden onset of troubles of spam attack on your website. Here is how you can fix Hacked Content Found error in Google Search Console. Google finds hacked content in the website and alert users in Google Webmaster tools. Here are the best ways to identify and fix Hacked content detected in Google Search Console message. As per Google Google Webmaster tools Support page, hacked content is any content that is posted in your website without your knowledge or permission. Hacked content can be in the form of links, java script files, encryoted php files etc. Spammers place certain files and php scripts containing virus or malware inside your website files. This gives access to spammers to see flows of your website, attack website, shut it down, block your access, add links to your sitemap, use fishing to get details from your visitors and more. Spammers add new pages, posts and attachments in the website. This will boost the spam website ranking in Google and reduce your ranking. They may add hidden content inside the website files which can only be seen by bots especially Google bots, MSN bots and other search engine bots. Bots are used to crawl your website links and list them in search engines as per the ranking factors. You and the visitors may not notice these links or pages but bots will identify them and list them. This will reduce your website ranking and increase their ranking. This is the most common hacked content issue in websites. Spammers put their links inside the website. When a visitor clicks a link in Google to your website, they will be automatically redirected to the spammer website. Your website lose ranking eventually and get penalized for redirects. These web pages shows one type of content for human visitors and other content for Google bots. So that when bots crawl the web page, it look like a valid page with good content. For a human visitor it may look like a websites with some not so good content. Sometimes these sites use 301 redirects to redirect human visitors to other pages and that way lead to bad web pages. Content that copied from other websites, stuffing keywords in web pages, automatically generated content using software etc. These are easy to find out. “Unnatural links from a site” is shown twice at the web page which is scraping content and according to Google, this is policy violation. Websites with thin content are added for removal after pure spam websites. Websites unnatural links are added for removal are in the third place leading to hacked sites at the fourth place. Website administrators should be careful about this. While link building, website administrators may add links from other websites in abundance. However, this may lead banning the web page and website. You could check whether your website is hacked by visiting. Sucuri checks the website in Google safe browsing, Norton safe web, Phish tank, Opera browser, SiteAdvisor, Sucuri Malware Labs blacklist, Yandex and ESET. 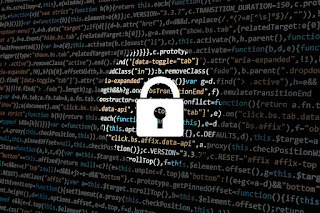 Why Google showing "Alert - Hacked content found"
There are many issues pertaining to the website security including theme vulnerabilities, passwords that can be easily compromised, insecure external plugins, low quality back links that you have purchased and security leaks. It is not that easy to identify what has led to the hacking of your website. You may have to go through a step by step approach to identify each issue and fix them individually. A developer can help you in this though they will ask huge sum to fix it. Outdated web application, weak admin, cpanel passwords, infected local computer are common vulnerabilities for a spam attack. Google has identified some hacked content in the website and started showing malware warning in search results. Google is showing "Alert - Hacked content found" to notify the spam issue. 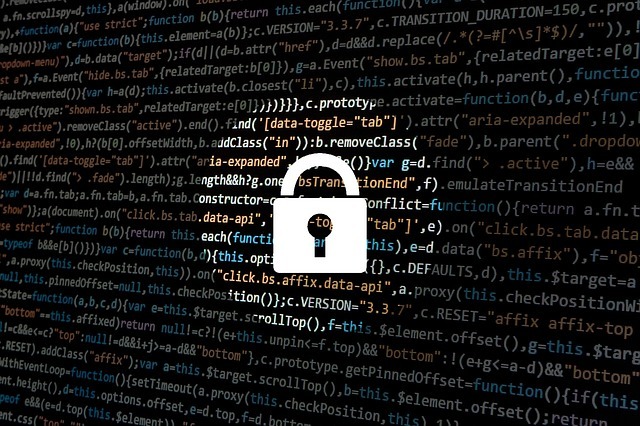 It is important to identify what type of hacked content is injected to your website. Then only you can fix them. Use Sucuri SiteCheck Free website malware and security scanner to scan for hacked content, malware, blacklisting status and website errors. Enter your website URL and select Scan website. Contact the host for a deep scan of the hacked content. Mention to the hosting company support team that you have received a message on Hacked Content Found in Google Search Console. They will run a deep scan and let you details. This is important as they will check for internal server errors. You can say "Hi, we received message from Google Webmaster that the site is infected. Can you please run a scan to the account for any malicious content. Thank you." Once scan is done, they will send you the list of affected files. The list would be something like this if you are using wordpress website. These files contain the hacked content. Spammers do something called "Obfuscation" to hide the malicious code inside another code. Cloki Malware is used to slow and crash Wordpress websites. There may be many other type of infections on the website. Some hosting providers like Siteground offers backup services. They may have backup of your website available from old days before the website was attacked. Check if your hosting provider offer Website Restore option. Then Check when was the hacked content was injected. Restore the website to previous time. This will fix hacked content found in Google Search Console. You may lose some latest attachments and posts while restoring the website. Download WordPress eXtended RSS file by going to wordpress dashboard > Tools > Export > All content and press download. This will have your posts, pages, comments, custom fields, categories, and tags. Once that is downloaded, go to media and download all latest attachments. You can use the "Dates" filter option to download images that is added later than the restore date. Now you can restore the backup and do steps 1 and 2 to find for any other hacked content. If not, you have successfully Fixed Hacked Content Found in Google Search Console. And export only the needed table and then import it in the new website. Please note that this is a complex task and if you are not sure how to perform this, you should best contact your website developer as he will have the necessary knowledge and experience to perform this. Now that you have identified Hacked Content, it is time to remove each of those files. It is important to take a back up of the website before starting the clean up. You can go to Site Manager of your hosting account or using FTP to see all files and folders of website. For Siteground, Login to My Accounts, Access control panel by selecting Go to Cpanel, select file manager and select Go. Find each selected file using the path. If you want to find a file such as /home/public_html/forum/cgi-bin/index.php, Go to public HTML folder, then double click it to open the folder, double click on forum folder and then cgi-bin folder. You will find the index.php file. Select the file and press delete. You have to delete each file like this. Make sure you have identified the correct file. If you are unable to do so, find a freelancer from Upwork or Codeable and providing them administrator login details. Once you have deleted all the files, do step 1 and 2 check for any other virus. If not, you have fixed Hacked Content Found error in Google Search Console. Some users are unable to load wordpress site once they delete all these files. This happens because the virus attacked the core files needed for wordpress to run. Few errors that are going to show, Warning: include(): Failed opening, failed to open stream: No such file or directory and Fatal error: Uncaught Error. The error might be because some of the WordPress core files were missing and that was causing the website to not load properly. In this care you may have to fix the issue by downloading all missing files or reinstall wordpress. You have to check the website thoroughly for the presence of Hacked content. Once you are sure that all hacked content are removed. Go to Google Webmaster tools, then Google Search Console and select the property and check the message "Alert - Hacked content found". Scroll down below where you will be able to see an option "Submit a reconsideration request". The reconsideration request is a manual action by website owner, in this case you, stating that you have removed all hacked content from website and the website is clean now. Select the Reconsideration Request option. You can read more about it in the support page. To submit a reconsideration request, go to Google Webmaster tools > Search Traffic > Manual Actions, type that you have removed all Hacked Content from website and scanned it multiple times to confirm and submit the request. Once you have successfully submitted the Reconsideration Request using Manual action, you will receive a message from Google. Google has received the request and it may take few weeks to review the action. Don't worry; it wont take that long. It will take 2-3 days only as these are done automatically. Keep checking Google Search Console for messages related to the Reconsideration request. You will get a message stating Reconsideration request processed and some of the manual actions on your site have been adjusted or revoked. Select the Manual Action Viewer to view the changes. You should be getting the above message. This means you have successfully fixed the Hacked Content Found error in Google Search Console. You may have seen a rise of 404 errors in Google Search console while fixing the hacked content. Here are best practices on How to Fix Crawl Errors 404 Not Found in Google Search Console. Are you looking for Best Cheapest WordPress Hosting Plans to host your domain and are recommended by wordpress. It is really tough to identify each shared best cheap WordPress hosting providers by going to each and every website, clicking links, finding out details and then do the same for the next hosting company. That us exactly why I have prepared this rather long list with screenshots and direct links to the plans of wordpress hosting plans and cost. This list contains 16 major Best shared WordPress Hosting with screenshots from hosting company websites of their plans and prices ideal for every wordpress beginner. Word of Advice: Whenever you want to purchase a hosting, do a google search on the problems of the hosting provider. If you want to host in Blue Host, do a google search on "BlueHost Problems". Do not search for reviews as they are mostly biased and sponsored by hosting providers. In these reviews, I did not put an biased wordpress hosting comparisons or tried to make one hosting better than the other. Majorly I got this information on cheap WordPress hosting from reddit, users in hosting communities etc. There are many new bloggers searching for best wordpress hosting or Cheapest WordPress Hosting Plans to get a good shared hosting package with lesser price. I wanted to share these best shared wordpress hosting plans and some wordpress hosting comparison to give you a first hand information before searching for hosting companies. BlueHost is one of the pioneers in word press hosting and offer value to what they offer. They offer free SSL and thirty days money back guarantee. The website can have up to 100 million visitors and they offer 30 GB storage and back up space. Free SSL and Free CDN is another considerable addon to the wordpress plan. There are are mixed responses about customer service. Inmotion hosting offers Launch Plan for small blogs with unlimited diskspace, bandwith and email. You can 2 domains in this plan. There has been very much criticisms on the service of inmotion hosting. Hostgator is an Indian company with servers in India and US. The started plan can host 1 domain and can have 100 K visitors per month. They do not offer free SSL. Highly recommended by many bloggers. They provide amazing customer support and the plans are affordable and efficient. They have put limitations on script executions and resource use for shared hosting compared to other hosting providers. In my last post, we discussed and analysed various shared hosting plans and I decided to go for SiteGround. I have done this after carefully analyzing payment options, service and support of customer care representatives. You can also start an account via site ground and I will guide you on how to buy a hosting plan From SiteGround. I have been using Blogspot for some years and later decided to shift to WordPress. I compared prices and plans of various hosting providers and decided to migrate to SiteGround. The major reasons are their competitive pricing and top notch 24*7 customer support. Whenever I am having any issue with hosting, I know that the customer team is there for me. I recommend Siteground for hosting your domain. Disclaimer: This post has some affiliate links. If you buy the hosting plans using these links, I will get few percent commission with no additional charge to you. You need a domain first to host in siteground. I would suggest you to buy a domain from GoDaddy if you do not have one. Because Siteground is not a domain registrar and use third party domain registrars to set up domains. If you already have a domain, please proceed. There are three various plans under Siteground and I will explain them so that you can easily choose the best plan for your website. 1. StartUp Plan: Suitable for ~ 10,000 Visits Monthly: $9.95/MO. So if you have a small website, then choose Startup Plan and if you buy the plan now, you will get 60% discount. Regular charge is $9.95/MO and Today you will get it for $3.95/mo. Two days back there was another offer for $2.95/mo, but sadly I missed it. So hurry now. The StartUp Plan provides Free Website Builder, cPanel & SSH Access, Free Setup & Transfer, 24/7 Technical Support, SSD Storage, Free Daily Backup, 30 Days Money Back, Unlimited Email Accounts & DBs, HTTP/2 Enabled Servers, Free Let's Encrypt SSLs and Free Cloudflare CDN. 30 Days Money Back - You will get your money back for 30 Days period, if you are not satisfied. Free Let's Encrypt SSLs - SSL Certificate is an essential service that you need now and siteground provides it for free. I would highly recommend going with the GrowBig plan. It comes with two times more resources on the server + 3-level caching system for your WordPress and 30 days backup copies to secure your site having it's data stored remotely as redundancy. StartUp has none of those features and is very basic in terms of performance, So in my opinion you will appreciate the GrowBig much better. Also, they are actually the official Wordpress.org host. All of hosting plans are Wordpress optimized so you would be happy to know that with SiteGround, you may use any theme or plugin developed for WP so you are not limited in any way when designing or redesigning your site :) The servers are fully optimized for WP sites so we support them all. 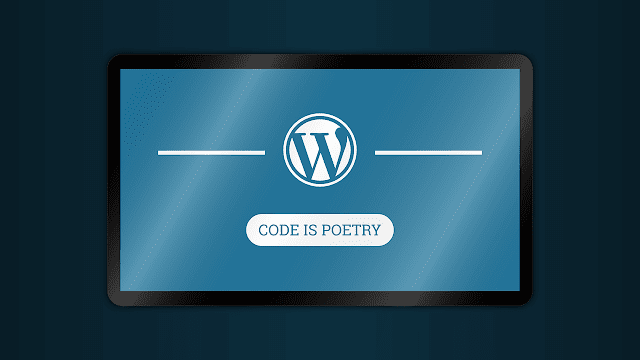 There are thousands of free Wordpress themes to choose from actually. They support them all and servers are optimized for all of them. When you use wordpress, it's much easier and convenient. Well in all honesty, all shared hosting accounts have limits and if your site is not very large, the GrowBig plan would be more than perfect for you. If you outgrow it, you can easily upgrade. Use this link to buy hosting plan: Buy Hosting From Siteground. PURCHASE INFORMATION: Select Your Plan, Choose a server location [where you want to get users from] and Period. PAYMENT INFORMATION: Fill your Credit Card details and Click Pay. You cannot use debit cards, international debit cards to pay using this interface. For that you need to book your order. To book your order, add your debit card details and click pay. You will be getting a message; "Your Card is declines, Please contact service provider". Now contact Siteground team via chat as they are available 24*7 and mention your domain name and ask for PayPal or Debit Card link. Pay via the provided link. Once payment is completed, you will get a Purchase confirmation. "Thank you for purchasing SiteGround Hosting services! Your transaction was completed successfully." We are currently processing your order. In case you have not received your Welcome email within the next 1 hour, please contact us via our Live Chat or call our toll free line." Sometimes you need to contact the domain registrar to change these nameservers. The change needs few hours to take effect so just allow that time and you will be good to go. In few hours you will be able to access your domain. Clear your cache and later today you will be good to go to use your domain with siteground Cheapest WordPress Hosting Plans. When will you know the changes got completed? This is a global process, there is away for you to check if the update is completed as it depends on server's cache, network setup, ISP, etc. You can use an online checker like www.whatsmydns.net/. The change might take longer in certain places depending on geographical location. Digital Ocean offers cheap WordPress hosting for new bloggers. Godaddy has the cheapest plan for wordpress hosting. There may be few cheap WordPress hosts out there but Godaddy is a reputable company. Dreamhost does not offers cheap WordPress hosting plans but quality plans. They can beat any cheapest hosting tiers with the quality of their hosting plan. Pagely is not at all a cheapest entry point for new bloggers. However it offers awesome support and space for high traffic websites. Kinsta does not provide any cheap WordPress hosting options for new websites. If you have a high amount of traffic website like shoutmeloud.com, Kinsta would be an appropriate choice. Cloudways is one of the Best Cheap WordPress Hosting Providers in the World. Hostwinds Cheapest plan starts with 4.5 $. GreenGeeks offers Managed wordpress plans. If any of these cheap WordPress hosting solutions actually is managed, then that is from GreenGeeks. Cons: SSL is an addon service which will cost you $49.95/yr and no Lets Encrypt support. Namecheap has the best and cheap WordPress hosting for your blog. ResellerClub is a part of the Endurance / Directi group and are one of the largest players in the Web Domains and Web Hosting business over the past 12 years. Check their wordpress hosting plans here. Bodhost offers unlimited domains even with a start up Cheapest WordPress Hosting Plans. I think that is pretty good for a beginner. You can go with Host4Geeks if you want to go with Reliable & Cheap WordPress Hosting Companies. Updates: I will be adding more best shared Wordpress hosting companies. Before buying any of the hosting plans, read the description and chat with the hosting provider. This way you can understand more about the limitations of the plan that you are looking at. To know more hosting provider, check out this. My name is ..... I have a domain called .... I would like to know more about the word press hosting plan. My site will have approximately ..... number of visitors per month. 1. Is there any limitations on bandwidth, script and program execution, traffic per month etc. 2. What are the possible chances and causes of my site goes down or get suspended. I have taken five major hosting providers from the list and wrote a concise guide on pros and cons of Cheapest WordPress Hosting Plans. Here is a conclusive analyisis various shared web hosting plans with Prons and Cons. This is a comparison between popular web hosting shared plans of bluehost, namecheap, siteground, godaddy, hostgator, ipage and dreamhost with snaps of their shared web hosting plans. The data that I have seen in other websites was biased because they were trying to promote the merchant site. Here I looked only the cost part of it and not any other features of web hosting plan. All this data was obtained from Customer Care Executives of each companies and as represented in the respective websites. I personally talked to each of them and got the data. You will be able to use the free Let's Encrypt even on the most basic Shared hosting plan StartUp package. Shared Web hosting plan for SiteGround starts from 3.95 US Dollar / Month which is Rs 252.31. The renewal rate of the shared Cheapest WordPress Hosting Plans is 9.95 US Dollar / Month. SiteGround has partnership with Let's Encrypt and you can install unlimited number of SSL Certificates ( for all your domains ) and for unlimited period of time . All that comes absolute for free , meaning that you will never have to spend a single $$$ for using the secure HTTPS in front of your sites :). Dreamhost web hosting plan provides support Lets Encrypt. The plan starts from $10.95/mo which is Rs 699.54 / Month. Dreamhost shared web Cheapest WordPress Hosting Plans is comparatively lesser if you buy it for 3 years. Here is the list of companies that do not provide support Lets Encrypt nor Free SSL certificate. Value Shared hosting plan for Namecheap costs Rs 52.51/Month which is 9.864 US Dollar / year and the Renewal price Rs 2,479.95/year which is 38.819 US Dollar. Namecheap do not offer Free SSL certificate not the support for Lets Encrypt. Namecheap provide positive SSL certificate from Comodo for Rs 574.06/yr which is 8.986 US Dollar. You can manually insert Lets Encrypt certificate if you have full certificate code, trusted chain for it and the Private Key assigned to your certificate. There is no automatic options to install free certificate. Many users of Namecheap is moving away from hosting their domain due to no support for Lets Encrypt. GoDaddy shared web Cheap Hosting Plans called as Starter plan starts from Rs 99.00/mo which is 1.550 US Dollars and 199.00/mo when you renew which is 3.115 US Dollar. GoDaddy only offer free SSL along with the ultimate hosting plans which is Rs 549.00/mo and not for basic hosting plans. GoDaddy do not support Lets Encrypt for other web hosting plans. Blue Host support Lets Encrypt SSL but the user have to manually install it. Because Lets Encrypt is third party, Bluehost do not offer any kind of support or troubleshooting. Blue Host do not offer free SSL certificate also. The Starter shared Cheapest WordPress Hosting Plans starts from Rs 399 per month which is 6.25 US Dollar. iPage do not offer free SSL or Lets Encrypt support. Users have to pay for SSL certificate which is $19.99/yr and the most basic shared web hosting plan starts from $35.88/yr. Hostgator do not offer support for Lets Encrypt and do not provide Free SSL certificate. Users can buy Positive SSL certificate for Rs. 1,452 /yr. Also customer care do not give any support for users. They provide Comodo SSL and Positive SSL Wildcard for very high prices and for Baby hosting plan only and not hatchling plan. The price domain hosting and renewal is lesser in Namecheap and higher in iPage hosting plans. Now we can categorize all these plans according to the renewal cost of shared hosting plan + SSL support starting from cheaper one. I am also categorizing these companies as per the service, knowledge level, time to get connected of customer care executives that I talked. This is completely subjective but it may help you in finalizing for a company. Pros: Faster connect, good service and fast response. Cons: Exceeded script executions and CPU usage limit issue. 3. DreamHost: Average connecting time. fast response. 4. Blue Host: Average connecting time, takes time for customer care representative to answer. 5. GoDaddy: The customer care executive connected via chat could not answer anything as he was from sales department. Hence I took data from website only. 6. NameCheap: Got connected but each time after 5 minutes they stopped responding and I had to end chat. This is List of all Best Cheapest WordPress Hosting Plans with Free SSL Lets Encrypt a comparison bluehost, namecheap, siteground,godaddy, hostgator. Website hosting services are popular in these days. If you are a blogger, you may have heard the term hosting the domain. Web hosting is defined as hosting your website on public servers. The information is stored into servers using databases. The common data bases are Oracle, MySQL, MS Access etc. So today we will discuss about different types of web hosting. If shipmethis.com is hosted on byehost.com, the URL will be http://www.shipmethis.byehost.com which is not good for business and monetary benefits. So think twice before you leap. If you want to learn about website hosting and stuff, I think you should try free website or domain hosting services like 000webost.com. This is basically a shared hosting package but comes with additional packages and tools. In this you may get free website templates, technical support but the price range is little higher than shared hosting which is $10 to $40. Cloud hosting is fairly a new but improved use of technology. It uses a method of adding individual servers from all around the globe to create a massive server. That way more websites can be hosted in it creating more space and efficiency. Cloud hosting services mainly charge you for what you use like bandwidth and hosting space. The price range is $25 to $50. Some of the clouds hosting services are Amazon EC2 or Amazon Elastic Compute cloud which is a famous for video sharing. http://aws.amazon.com/ec2/, Rackspace Cloud servers which prived unlimited disk space and free domain and other awesome features http://www.rackspace.com/cloud/public/. VPS or Virtual Private Server Hosting is like getting a server only for you. You website can be hosted in a specific server with guaranteed uptime and memory and CPU usage. The price range is $50 to $100. In Shared web hosting your website is connected with the servers that are shared with other websites. That means your website shares the server space and the cost of hosting with other websites. It is like sharing an auto or taxi with others. But sometimes this low cost will affect the performance of your website. If the shared network have a website that have a large amount of traffic, your website will automatically experience a downtime error. The main feature of shared hosting is that you can host your website with a price between 1$ to $10. The best providers of shared hosting are Linode and Digital Ocean https://www.digitalocean.com/, iPage which is founded on 1998 and now it iPage hosts over 1 million websites, Fat cow and HostGator. In this type of web hosting you will get root permissions to access the server. Such types of hosting are more preferred by companies. The price usually starts from $120. You provide your own server and you can start hosting your own website. The company will provide you with power and other requirements. You just have to give the server. You may also hear about Windows Hosting, Linux Hosting and Unix hosting. Windows hosting means that the web servers are using windows based operating systems. The Linux Hosting means that it runs in Linux OS and Unix hosting on Unix OS. Some of my friends asked about what is meant by Disk space, Bandwidth, cPanel, multilingual support and terms that are related to hosting and stuff. I told them to surf internet or Google. Later I thought that I am a blogger, then why can't I use my knowledge to describe these terms. That is why I have written them I hope these information will help new blogger also. I described each term for new bloggers or users out there. Disk space means that how much of amount of data is available for your website in the hosting account. In free hosting accounts the disk space may limit but for premium accounts they are unlimited. Why is id disk space important? Because if you need to add some quality files like images or videos or some flash files with a large space, then disk space will become important. If you want to add large size files, you need to have a hosting account which gives unlimited disk space. What is Data Transfer or Bandwidth? Data Transfer or Bandwidth is the amount of data transferred from server to client as well as client to server. When somebody visits your website from a browser, the browser send request to the server and the server gives info according to the request. This data transfer from server to client and client to server is important if the website has large traffic. If the website have large traffic and the accessible bandwidth of the hosting account is low, then the performance of your website may reduce and the user may experience a downtime. cPanel is a short form of control panel where you can access all the tools of your hosting account including email accounts, domain manager, hosting settings etc. cPanel provide a graphical user interface for users. It lists all the automation tools that help a user to configure his website and make it more appealing and SEO friendly. What is Multi lingual control panel? Multi lingual control panel supports some specific languages for the user rather than English. This is useful for new users to become familiar with all the specific tools and configure the website. This also helps to simplify website hosting and make it more easy. Most of the hosting websites offers multi lingual support. Are you searching for how to transfer hosting, migrate wordpress from one server to another and how to move website from one server to another iis. Here is how to migrate a website from one server to another, ways to website transfer service and how to transfer hosting to godaddy. Best information to change web hosting keep domain name and how to transfer domain from one host to another is available in this post. Lets switch web hosting. Users often ask me is it Easy is Switching From One Web Hosting Provider to Another. We will start with an interesting story of marriage between hosting provider and your website. There are many hosting providers in the market that provides advantages over the other. They all have some disadvantages, limitations and problems. All the hosting providers that you contact will show you their best benefits and offer you free features for lifetime. Ultimately you decide one hosting provider for hosting your website. The payment will be done and you will change the nameservers from your domain registrar. The website will run amazingly for 2 weeks. This is called Hosting Honeymoon. You never thought that your website can go this amazingly faster and look stunningly beautiful. All your issues are solved within seconds by a senior engineer. You are satisfied with your decision to select this hosting provider. Problems start after the Hosting honeymoon period. The hosting provider will send you emails about exceeded script executions, high cpu usage, unknown bot attacks, hacking attempts and what not. This will make you really frustrated and tensed. So you decide to work with hosting provider to figure out ways to remove this issues. You try to chat with them and they will ask you to file a ticket. They ask you to wait minimum 24 hours to get support. They appoint low level skill personnel to deal with you, creating more issues and frustration. You spend days and nights to fix the problems. You think you have fixed everything and think that you have accomplished the impossible. Next day you get a mail saying your website is suspended due to over usage. Now what. You try to chat with them and they never get connected. You file a ticker, no one responds. You send emails threatening to change hosting provider. Someone from somewhere send you a reply saying that they cannot do anything. You need to log in to hosting panel and change some settings. You go to hosting panel and unable to login. You try all the possible means to login using different browsers and still not able to. You send a reply to that stranger saying that you are unable to access it. He did not respond. You spend another 1-2 hours searching in Google trying to decide what to do and figures better to do divorce. Website Down, Bad Service: The Marriage is over. Are you thinking about how to transfer Cheapest WordPress Hosting Plans from one company to another. The decision is really tough and I completely understand. It is not easy as changing email hosting provider to another or moving email from one host to another. I was at this junction 2 months back and I wanted to change the existing hosting provider to SiteGround. I will provide show you step by step guide on how I changed the website from One Hosting Provider to Another. You can change web hosting and keep domain name in hand. Changing a hosting provider is not that easy. It takes careful execution and correct steps. Otherwise your website may end up in suspended mode or experience downtime. You can start by asking a simple question. Does your new hosting provider support free migration of Word Press Site. If not, you may end up paying for it. You can make a list of all reasons on why you want to move out. You can use this list to clarify ad get more info on plan details of new hosting provider. You should back up your website and database before asking the existing provider for change in hosting. There are some hosting providers that locks your access and ask for money. You can login to cPanel > File Manager and compress into a zip file all files located in public_html , then you can download that zip to your local computer . You can also use a File Zilla to do so. And from phpMyAdmin you can extract the Database. The database of the website contains only records of the website structure. When you are ready with the back up and you are sure that all required files and Databases are saved on your computer, let the hosting provider know and then they will assist you with that further. It would be best to download the whole website files and folders. The website posts is located within the wp-content folder of yours. Once hosting account is cancelled, change the Name Servers of your domain through your Domain name Registrar. If the domain name is registered with GoDaddy, whatever changes you want to make with the Name Servers, should be made from GoDaddy DNS manager. There you can set the GoDaddy Name Servers or the ones for another hosting provider and then wait for the DNS change to take effect. I will be adding more Cheapest WordPress Hosting Plans soon. Hope you enjoyed the list.